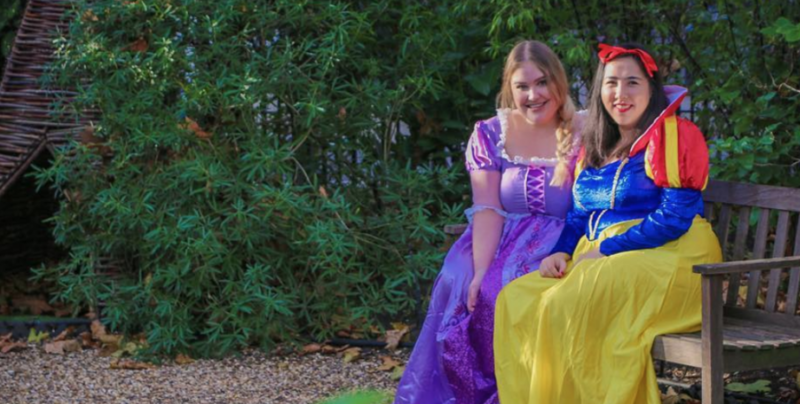 Did you know that the women who play Disney princesses in real life, in Disneyland or Disney-world can’t be larger than a size 10? What do you think that tells the average woman who is a size 16? (PS that’s actually @amyeloisew ‘s size, although I’d never call her just an “average” woman). So for all of those sayings, it’s just a movie. No it’s not. This size discrimination is everywhere! I remember the first time I was likened to a Disney princess. It was yelled at me in a club at university when a guy went “Oi Mulan, give us a snog?”. Apparently, I was Mulan. Of course, I was. Mulan would become a running theme in my uni days. If it wasn’t that, I was likened to Lucy Liu from Charlie’s Angels. I don’t look anything like Lucy Liu but that’s what happens there’s such a lack of racial diversity. You get likened to the only other Asian person that they have seen. Same with Mulan, every time we played princesses, I was automatically given Mulan. When I started my career, nothing changed. I started training other coaches, as soon as I was qualified. I was the youngest in the room at 21, with most of my students being double my age. It meant when they put their hand up and I went over to help, they would often ask for someone else or double check my advice with one of my superiors. That, I could put up with. But my tipping point was when one called me Pocahontas for the duration of the 2 week course. I told my supervisors that it made me uncomfortable. They told me to take it as a compliment and he was just flirting. I was watching a video on YouTube recently about all the rules the women playing Disney Princesses at the parks have to follow. It’s ridiculous! I seriously can’t comprehend what would be so bad about there being a size 16 Belle, or a size 22 Tiana. It would make me a whole lot more likely to want to take my daughter places like that! The lack of size and racial diversity are especially appalling because we all know that little kids look up to these characters, and what happens when your favorite character isn’t anything like you (and apparently never could be?! ).